If you are parent or guardian to a child suffering from ADHD, you will understand the challenges and frustrations that this can cause. The key is of course recognising traits and finding ways to counterbalance them in your child’s life, however education and schooling can be even more of a challenge if you don’t form that all-important working relationship with your child’s teacher. Teachers are experienced in working with children with ADHD, and they have training and knowledge to rectify situations as they arise, and ways to help your child learn in a more effective way. Because of this, it’s imperative that you not only keep the teacher updated on any information which affects your child’s schooling and happiness at school, but also discuss any problems or conflicts as they arise. We understand how difficult it can be to raise issues and talk to your child’s teacher, especially if you’re feeling a little sensitive about the situation, or perhaps a little intimidated. This needn’t be the case, as you’re both on the same side, and your child’s best interests are obviously at the very top of your aims. 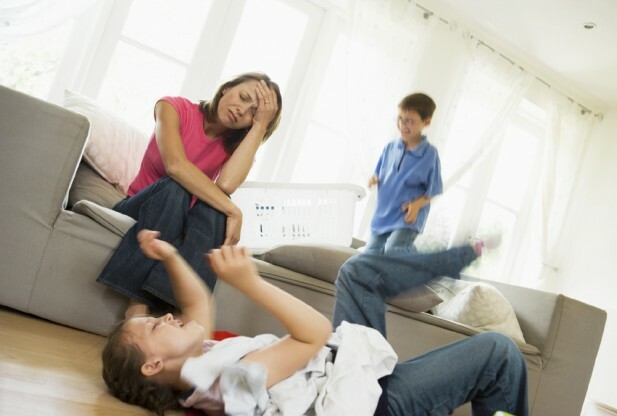 Ringwood chiropractors are experienced in dealing with ADHD, and can help not only the affected child, but also the family involved, with coping mechanisms and swift diagnosis. Part of this advice is to always keep your child’s teacher in the loop regarding any issues or problems. We know that teachers are busy individuals, but identifying a suitably convenient time to meet and discuss any problems as and when they arise is the best way forward. Contact the teacher beforehand and outline the problem and your concerns, giving them time to prepare for your meeting, which cuts down on time finding a solution. After school or before school are both good times to meet, when the teacher may be less pushed for time. It’s important to remember that you are a team here, you’re both wanting to help your child reach their potential, and although you know your child best, your teacher will have knowledge of them in a different setting, and maybe able to shed valuable light on a possible conflict or problem. Believe that the teacher can help, and don’t be intimidated or feel that you’re wasting time – you’re not! It’s equally vital to keep a follow up means of communication open, as well as updating regularly on any changes in the situation. ADHD poses many challenges, and things can change very quickly, so keeping the teacher updated on this is important. You may communicate after the initial meeting by email, phone calls, or possibly notes home via the child – it’s really a case of whatever works for you all. Despite all this, remember to involve your child if at all possible. You don’t want them thinking that you’re talking about them, and that there is a big secret going on, because this will only serve to alienate them further. Help create a sense of working together to reach a common aim, and you have a much better chance at success. If you are at all worried about ADHD, then don’t hesitate to call the practice now on 03 9095 7990 to arrange an appointment. So much can be done to help a child and their family affected by ADHD, and the future doesn’t have to be as difficult as it may seem at the time.